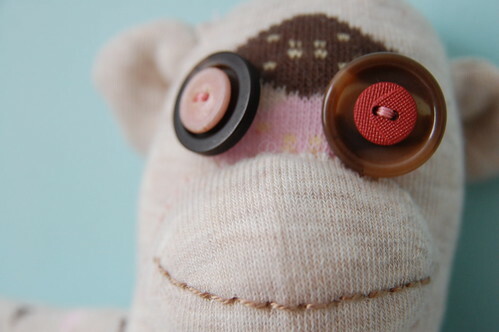 This is “Buttons”, the sock monkey. 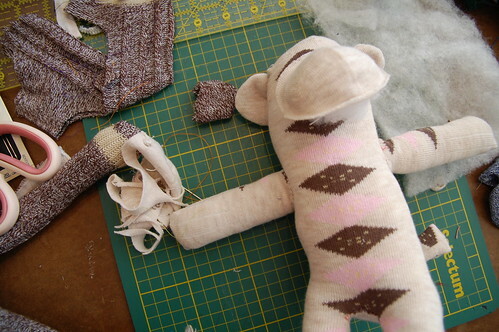 I made him a couple weeks ago at the Sock Monkey workshop with Lindsay of Operation Sock Monkey. 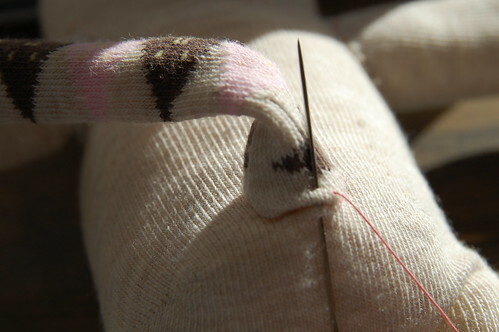 He’s been hanging around, making me smile which seems to be what sock monkeys do best. It’s Thursday and the weekend is almost, but not quite here. It’s still winter and it’s been rather dreary this week. I’m thinking that now would be a good time for a little laugh. Something silly. Something perhaps involving a chimp, named Jonny? hehe thanks for hookin’ us up with jonny’s youtube vid! This is lovely. 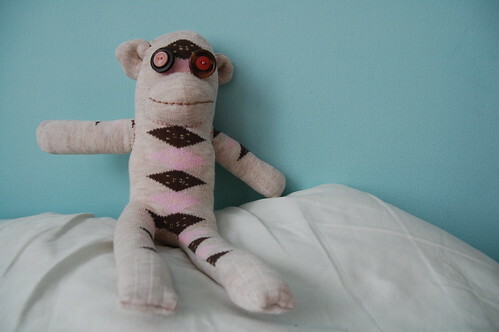 I recently pulled out my favorite sock monkey and was inspired to make it a pal.